How do you make a stall about the GDPR engaging? - With the Obscura of course!! This week we were at the Marketing Week Live Insight Show 2018 in Kensington's beautiful exhibition space Olympia with sponsors of the show Econsultancy and Marketing Week. 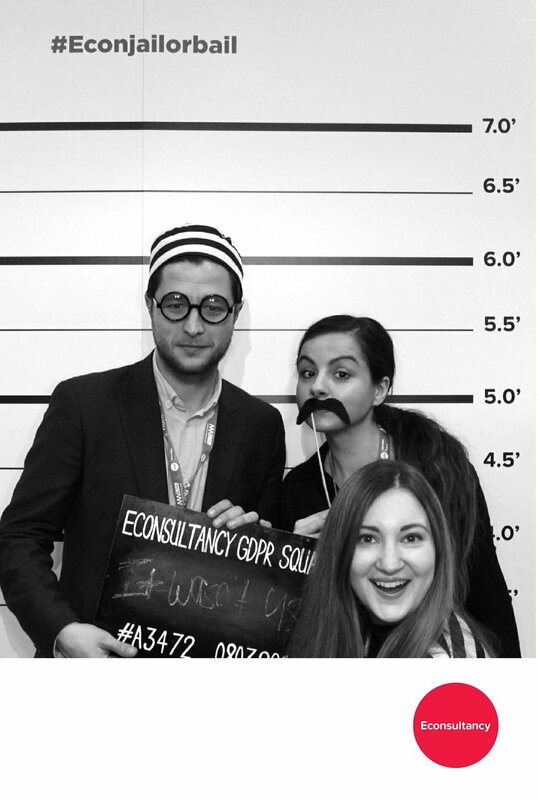 Econsultancy are proud to have over 520,000 active subscribers across the world in all industries from fashion to finance including the likes of Ralph Lauren, Sony, Emirates, Ikea, Cadbury, Citi, and Coca-Cola 'informing, advising and enabling marketers to do their jobs better since 1999'. - So it's safe to say they know what they are talking about! 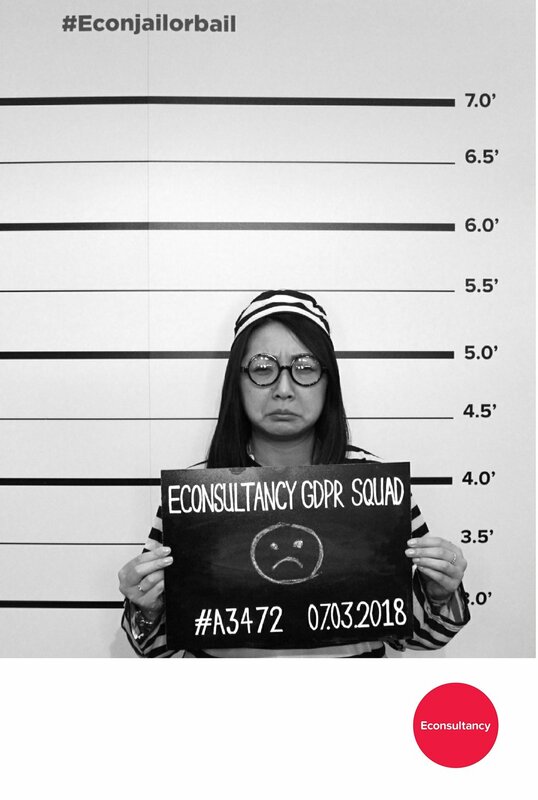 This being said even for the award winning platform, attracting attendees to their stall to talk about the very important but admittedly boring General Data Protection Regulation (GDPR) was never going to be easy! But with the help of the Obscura and the creativity of the Marketing Week team, the exhibition space certainly grabbed the attention of the thousands of hungry marketers at the show. 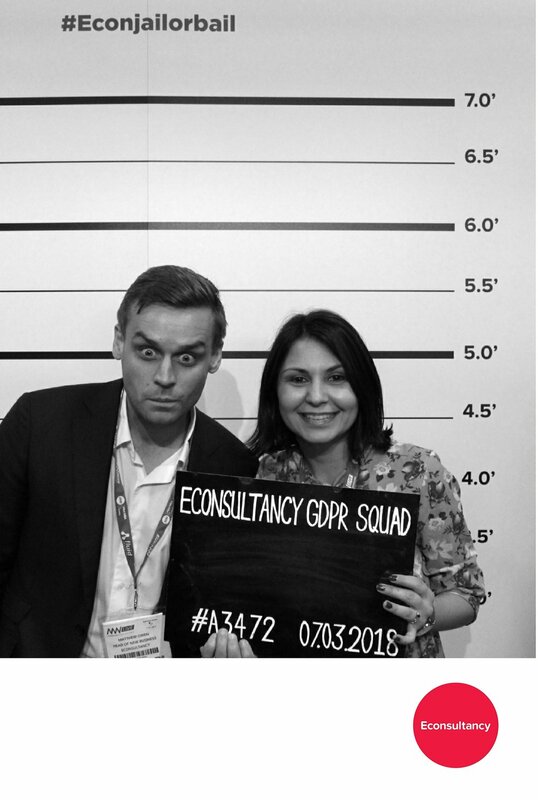 First atendees were invited to take a short quiz on the GDPR basics, then as a treat (pass or fail) they would get a #Econjailorbail mugshot taken and instantly printed with the Obscura. The not so clued up looser's photos were then put on the wall of shame as punishment. The General Data Protection Regulation comes into effect on the 25th of May which will affect ALL companies click here to find out more about Econsultancy and how they can help clue you up!